Major companies expand their production capacity at 11-speed power battery prices or diving - Battery News - Sunbright Power Co., Ltd.
1. Demand for lithium-ion batteries soared. In the first half of the year, the production of mobile phones and electric vehicles in two major applications of lithium-ion batteries showed rapid growth in varying degrees. According to the National Bureau of Statistics, China's mobile phone production reached 966 million units in the first half of the year, up 23.3% year-on-year, and new energy vehicle production was 285,000 units, up 88.7% year-on-year. The rapid growth of the output of major downstream products drove the surge in demand for lithium-ion batteries, which reversed the trend of continuous decline in the growth rate of lithium-ion battery production. In the first half of the year, China's lithium-ion battery production reached 2.98 billion, an increase of 20.7% year-on-year, and the growth rate rebounded significantly from the 3.O% in 2015. 2. The effect of policy adjustment is highlighted. In the first half of the year, the Ministry of Industry and Information Technology released four batches of enterprise catalogues in line with the "Regulations for Automotive Power Battery Industry", including 57 enterprises, including 56 power battery companies and one battery system enterprise. According to the latest regulations on the promotion of new energy vehicles, only new energy vehicles that use battery products from power battery catalog companies are eligible to enter the promotion catalogue, and thus receive state and local subsidies. Therefore, for the lithium-ion power battery industry has a huge impact, companies entering the list and not entering the list have adjusted their development strategies. At the same time, as foreign-invested companies have basically not entered the power battery catalog, their market share has been greatly affected. 3. The price of precursor materials soared. Since the second half of 2014, the output of electric vehicles in China has begun to explode, and the demand for lithium-ion batteries has increased rapidly. The demand for precursor materials such as lithium carbonate and lithium hexafluorophosphate has also risen sharply. In the past few years, the market was sluggish, which caused material companies to slow down the pace of investment. Some enterprises even canceled the original investment projects, so that the market for precursor materials such as lithium carbonate and lithium hexafluorophosphate appeared in short supply, and prices rose all the way. Taking lithium carbonate as an example, in June 2016, the market price of battery-grade lithium carbonate market was between 15.5 and 165,000 yuan/ton, and it was close to 200,000 yuan/ton in the first half of the year, almost 2.5 times that at the end of last year, and at the end of 2014. Less than 40,000 yuan / ton. 4. The backbone enterprises accelerate the pace of expansion. The continued popularity of the new energy vehicle market has ignited the demand for lithium-ion power batteries. Lithium-ion power companies have increased their capacity to increase the capacity of the cake in order to seize the huge power battery market. According to incomplete statistics, only 54 companies in the lithium-ion battery industry in China have issued expansion plans in the first half of the year, with an investment amount of about 116 billion yuan. BYD, Ningde New Energy, Guoxuan Hi-Tech, Tianjin Lishen and other domestic power battery leaders have invested more than 3 billion yuan, of which BYD plans to increase 15 billion yuan and add 6GWh of power battery capacity. 5. M\u0026A incidents occur frequently. In the first half of the year, the capital operation of the lithium-ion battery industry continued to be staged, and mergers and acquisitions occurred frequently, and the amount of mergers and acquisitions exceeded 15 billion yuan. From the perspective of M\u0026A types, it is mainly in other fields that companies have acquired lithium-ion battery industry chain related companies, thus entering the field of lithium-ion batteries. The most typical is Jianrui Fire's 5.2 billion yuan acquisition of 100% equity of Watmar. In addition, Fu Lin Jinggong plans to acquire Hunan Sublimation for a total of 2.1 billion yuan, Sky Tower plans to acquire Xintai Materials for 2.7 billion yuan, Smart Energy plans to acquire Foster Group for 1.2 billion yuan, and Changxin Technology plans to invest 800 million yuan for BAK Power. Wait. The reason for this is that financial capital is pursuing industrial development hotspots, especially investment hotspots, to obtain good returns. On the other hand, listed companies need to find new business and profit growth points to achieve transformation. .
1. The fraudulent incident triggered a subsidy dispute. The earliest verification notice of the new energy vehicle fraud incident was found in the Notice on Carrying out the Verification of the Application and Promotion of New Energy Vehicles issued by the Ministry of Industry and Information Technology and the Ministry of Finance on January 21. Subsequently, on January 26, the Ministry of Finance issued the Notice on the Special Inspection of the Promotion and Application of New Energy Vehicles, and adopted a combination of on-site inspection and off-site inspection to cover the support of the central financial subsidy in 2013-2015. All 90 new energy vehicle manufacturers. On April 19th, the website of the Industry Development and Reform Commission's Industry Department announced that the General Office of the State Council had carried out on-the-spot inspections on the promotion and application of new energy vehicles to 15 provinces and municipalities. At present, the investigation of fraudulent compensation has ended, but the fraud has triggered a huge controversy over the subsidies for new energy vehicles. 2. Security issues should not be underestimated. Like the continued boom in the production and sales of new energy vehicles, new energy vehicles have once again become a fire in the first half of the year. According to incomplete statistics, 11 new energy vehicle fire incidents occurred at home and abroad this year, involving the flagship models of Tesla, BYD, and Yinlong New Energy. 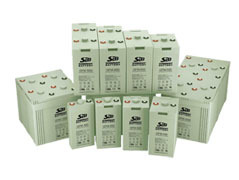 The cause of the fire is short-circuited in the distribution box, self-ignition during charging, fire at the battery line, short-circuit of the battery, modification, and charging of the flying line are all related to the power battery. The constant fire accident has caused adverse effects in the industry and has negative energy for consumers' confidence in using new energy vehicles, which is not conducive to the long-term healthy development of the new energy automobile industry. 3. Power battery oversupply is a foregone conclusion. With the strong growth of market demand and the influx of social capital, the capacity planning of lithium-ion power battery manufacturers began to “great leap forward” in the second half of last year. 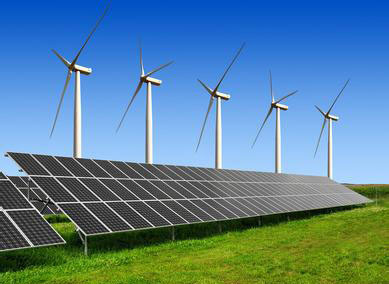 According to incomplete statistics, in 2016, China's power battery enterprises planned production capacity reached 92.5 ~ 102.5GWh, with a capacity utilization rate of 70%, the output in 2016 will reach 65 ~ 72GWh. In 2015, China's new energy vehicle production was nearly 380,000 units. The demand for power battery market was about 15.5GWh. In 2016, the output of electric vehicles was calculated according to 800,000 units. The market demand for power batteries was around 32GWh, plus lithium-ion bicycles and power tools. In the field, the market demand for lithium-ion power batteries is about 35GWh. The market demand is obviously lower than the expected production capacity. Therefore, the lithium-ion battery market in China will form an oversupply situation in the second half of the year. The growth rate of production and sales of new energy vehicles will continue to increase. At the same time, the second half of the year is the peak season for global consumer electronics consumption. With the launch of the iPhone 7, the mobile phone market will usher in a wave of production and sales. Therefore, in the second half of the year, new energy vehicles and mobile phones will continue to develop rapidly in the first half of the year, driving the lithium-ion battery market to continue to expand. It is estimated that the output of lithium-ion batteries in China will reach 6.6 billion in the whole year, an increase of 17.8%. The market size of lithium-ion battery is expected to reach 35GWh, accounting for 60% of the total lithium-ion battery market. From the second half of 2014 to the first half of this year, despite the rapid increase in the output of lithium-ion power batteries, the market is basically in a state of balance between supply and demand, and the prices of products remain basically stable. Looking forward to the second half of the year, on the one hand, the balance of supply and demand in the market has been broken, the supply capacity of power batteries is obviously greater than the market demand, and market competition has begun to intensify; on the other hand, the new energy subsidies for new energy vehicles have not entered the catalogue of the "Regulations on the Standard Conditions of Automotive Power Battery Industry". Power battery manufacturers will have difficulty getting orders. Therefore, in order to obtain orders from new energy auto companies, some enterprises will definitely adopt price reduction methods, which will lead to price wars on power batteries, and prices will drop significantly. Comprehensively strengthen the management of the lithium-ion battery industry, accelerate the implementation of the "Lithium-ion battery industry access conditions" and "automobile power battery industry standard conditions", timely release the list of announced companies, focusing on the technical level, production Establishing industry entry barriers in terms of scale, resource utilization, and safety requirements, gradually eliminating backward production capacity and ensuring healthy and orderly development of the industry. Adhere to the strategy of supporting and strengthening the strong, combined with the construction of industry normative system, and guide the financial, industrial, financial, land and other resources to key enterprises, accelerate the formation Industry core competitiveness. Encourage key enterprises to expand production and operation scale through mergers and acquisitions, strong alliances, etc., guide enterprises to gather in industrial parks such as new industrialized industrial demonstration bases, strengthen cooperation between various supporting links and battery production enterprises, and achieve intensive development. 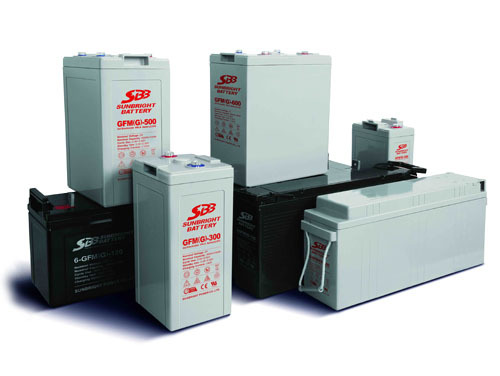 Improving the safety level of lithium-ion batteries, paying close attention to the safety issues of lithium-ion batteries in new energy vehicles and other emerging fields, through lithium ions The implementation of industry standard conditions and mandatory national standards for lithium-ion battery safety, strengthen production standard management and technology research and development innovation, reduce product risk factors from the source. Relevant departments should strengthen supervision and testing efforts and establish and improve long-term safety supervision mechanisms. Accelerate research and establish a system for recycling and recycling lithium ion battery products. Appropriately adjust the new energy vehicle promotion target in 2020, reduce market expectations, adopt a more flexible and variable subsidy method, and steadily promote the development of the new energy automobile industry. Strengthen the linkage between the central and local governments, rationally plan the industrial layout, prevent the blind expansion of production capacity and blind investment in the region, increase the intensity of project review, and resolutely postpone and cancel some projects that are not advanced in technology and whose foundations are not solid. Control new capacity. The 2016 International Electronic Components and Production Technology Exhibition hosted by HKTDC will be held at the Hong Kong Convention and Exhibition Centre from October 13th to 16th. . According to the organizer, this exhibition coincides with the 20th anniversary celebration. The International Electronic Components and Production Technology Exhibition will continue to strengthen its leading position in the electronic parts and components trade fairs in Asia, for global electronics manufacturing. The industry provides an exbatteryent platform to showcase relevant technologies, components and accessories. In 2016, the exhibition will gather more than 600 exhibitors from all over the world. Together with the Hong Kong Trade Development Council Hong Kong Autumn Electronics Fair held in the same period, the two exhibitions will jointly create one of the world's largest electronic product trading platforms. It is reported that the subdivision theme exhibition area will achieve efficient procurement for buyers. Among them, the featured theme exhibition area includes the display technology world that displays the new generation of display technology, the new scientific research achievements and progress, and the solar photovoltaic electronic world that displays various types of solar photovoltaic electronic products and technologies. Other exhibit categories include electronic components, metal components, key components of smart devices, and printed circuit boards. In addition, the exhibition will also open a number of exchange activities, seminars, one-on-one buyer meetings and so on. At present, the industry can already obtain free admission tickets by logging in to the official website and pre-registering and downloading the official APP.